One of the key moments for us during the event was the Knife Party / Pendulum live stream. A legendary climax to a weekend full of incredible sets across the entire electronic realm, Rob Swire and Gareth McGrillen didn’t disappoint. One particular highlight during the Knife Party chapter of the set was the surprise arrival of Tom Morello. 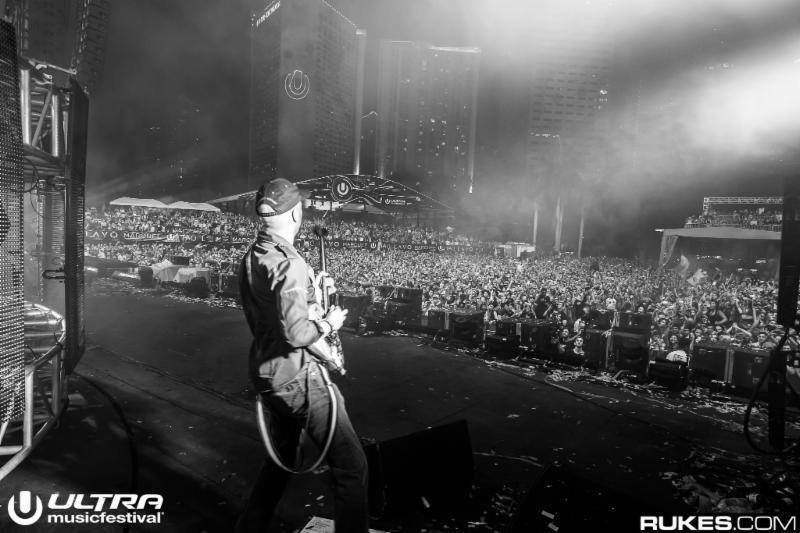 A founding member of Rage Against The Machine and successful solo artist who has previously collaborated with the likes of The Prodigy and The Crystal Method, his collaboration with Knife Party has been anticipated and speculated since May last year. At first it was expected to drop on Knife Party’s Trigger Warning EP last November but it’s now clear the track was created for a much larger project. In the last two days Tom has since revealed more details. Heaven help us! Considering Morello has previous shared images of himself and Skrillex in the studio, there’s a strong change Atlas Underground could develop into something very impressive and exciting.